GearDisclosure.com statement of compliance: This product was provided at no cost for the purpose of review. C.A.T.I. Armor has not paid We Like Shooting or provided any financial compensation for this review. The product will not be returned to the manufacturer. 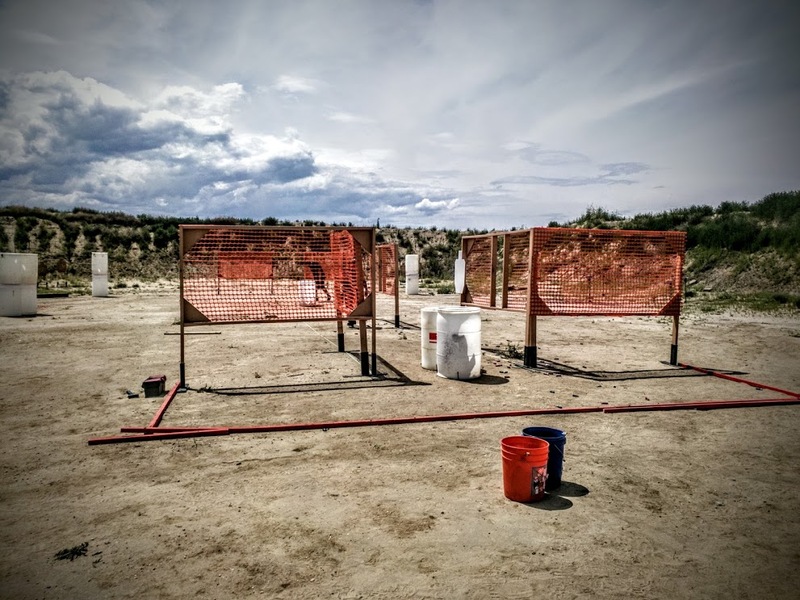 Last month we took to the range and hurled lead and expletives at some level III C.A.T.I. body armor with great results. After seeing such great feedback we ventured to Ohio where we put more armor to the test. We were shooting unknown level IV steel and level IV ceramic plates from CATI. 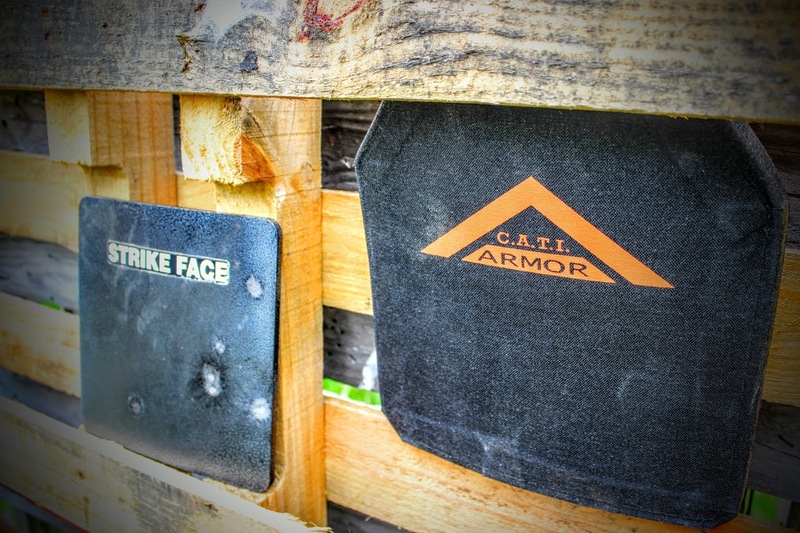 Level IV armor features ballistic plates alongside Kevlar to stop armor-piercing rounds, such as the .30 caliber M2 AP type, hitting with a velocity of 878 m/s. Plates may be made of ceramics or steel, and should be replaced immediately after taking a hit. 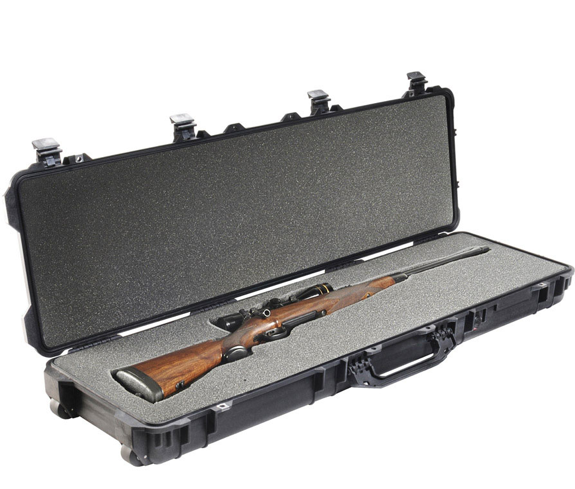 You’ll only need this level of protection when shooting the most high-caliber guns, and though these are heavier and more expensive than lower-level vests, additional weight and expense should never put you off – the potentially life-saving value these offer well outweighs other considerations. You can read more about body armor here. For this test we eliminated most of the rounds that didn’t damage the level III armor and went straight to the the big guys. We used .300 WM and the infamous Rockchucker that you may have heard Jeremy talk about before. The loads used were 73gr of 7828 SSC with a 200 grain Nosler Accubond projectile for the .300 WM and 59gr of Reloader 22 and an 80 grain Nosler ballistic tip for the Rockchucker. We speculated up front that the ceramic would not hold up to these rounds and boy were we wrong! Both rounds went directly through the steel. The message to take away from this is, SPEED KILLS. The .300WM went directly through the steel with a concave deformation as the bullet pulled the steel in the direction of the impact. The Rockchucker went through the steel like a laser. The ceramic armor works by deforming and fragmenting the bullet, then the fabric behind the ceramic catches the pieces. Very clever design and works as advertised for sure. Surprisingly both rounds were stopped by the CATI ceramic plate. There was a large deformation both front and back, but definitely no holes. The question now is could you live? I don’t want to speculate, but be sure if you did survive one of these rounds you would be injured even without penetration. Very cool to see these results in person and thanks for reading/watching! 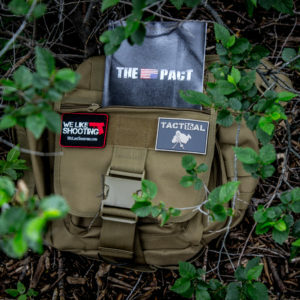 You might also like our 72 hour bag project with Tactical 16!